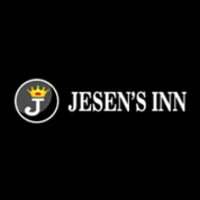 Sitting on just five-minute walk from Kuta Beach, Jesen's Inn offers its 10 rooms. The inn is centrally located. It is only few minutes walk to the shopping center in Kuta area. Some traditional Indonesian food vendors can be found nearby the inn. There is a small garden in the middle of inn where a restaurant that serves Indonesian and Western food opens 24 hour. A safety box is provided in the reception. The room rates include simple breakfast.